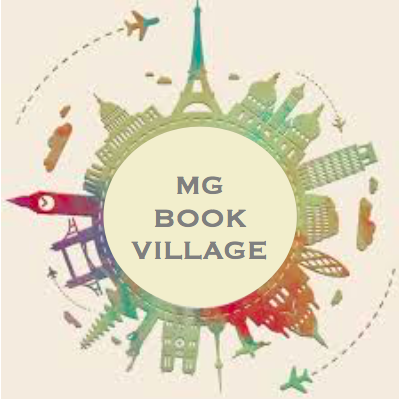 Today we continue the STEM Tuesday Spin-Off guest blogger addition to the MG Book Village blog. As you will recall, members of the STEM Tuesday group at From the Mixed-Up Files…of Middle Grade Authors will share a Science, Technology, Engineering, and Mathematics (STEM) post that ties middle grade STEM books, resources, and the STEM Tuesday weekly posts to the familiar, everyday things in the life of middle graders. We’ll look at the things in life we often take for granted. We’ll peek behind the curtain and search underneath the hood for the STEM principles involved and suggest books and/or links to help build an understanding of the world around us. The common, everyday thing will be the hub of the post and the “spin-offs” will be the spokes making up our wheel of discovery. The STEM Tuesday team has brought you lunchroom science and recess science, so continuing in our schoolyard science theme, I present–The science of Social Studies! That’s right, we often talk about integrating science and math or science and technology. But there’s a lot of science in social studies. Let’s take a tour of some fun ways to look at STEM–social studies connections. Map-making is a STEM bonanza. Latitude and Longitude? Pure geometry. Mountains and Oceans and deserts? Geology. And making the maps themselves? Technology and engineering. Check out National Geographic Education’s fun simulation of mapping Mars. Read Soundings: The remarkable woman who mapped the ocean floor by Hali Felt (Henry Holt, 2012). Watch The Science of Everything Podcast to see how map projections alter our understanding of the world. Scientific discoveries have impacted the trajectory of historical events, and historical realities affect how and when science is done. Several STEM Tuesday reading lists have looked at the history of science and technology. Try the Women in Science History List or this botany list on #STEMTuesday (you may be surprised how interwoven botany and world exploration are). In Castaldo’s book, learn how something as small as a seed can have a worldwide impact. Did you know there are top-secret seed vaults hidden throughout the world? And once a seed disappears, that’s it—it’s gone forever? This important book sheds a light on the impact one seed can have on the world. Silvey’s book takes us on a great adventure as early plant hunters traveled around the world, facing challenges at every turn: tropical illnesses, extreme terrain, and dangerous animals to find and collect new and unusual specimens, no matter what the cost. Geography is essentially geology with people on top. For a technology twist, try this National Geographic lesson on the geography of a pencil. Check out Geology Lab for Kids by Garrett Romaine (Quarry Books) for fun hands-on activities. Or The Rock and Gem Book: And Other Treasures of the Natural World by the Smithsonian. See how people’s water use can lead to sinkholes and check out satellite imagery of Florida on Google Maps–all of those circular lakes are old sinkholes! Of course, conservation is deeply tied to government and laws. This STEM Tuesday list will give students a whole host of ideas for conservation, and what better way to engage them in the political process than with cool science? Try Jennifer Swanson’s Geoengineering Earth’s Climate (21st Century Books) or Whale Quest: Working Together to Save Endangered Species by Karen Romano Young to see how decisions we make in our world affect the species that live within it. Finally, with the out sized role of the electoral college in the last few elections and the age of gerrymandering, apportionment has been a big civics issue. I have long been fascinated by the mathematics that shows that it is mathematically impossible to perfectly apportion representation. This activity illustrates why (it’s for a high school math or higher, but still, this topic is so cool!). So check out these resources and go wild with the science of social studies! This month, the Middle Grade at Heart team is trying something new: our first ever book club double-feature, spotlighting The Benefits of Being an Octopus by Ann Braden and Everlasting Nora by Marie Miranda Cruz! We love how both of these authors explore the theme of poverty in such an authentic, unflinching way. We also love how they have both crafted brave, resilient main characters, and how their books depict difficult situations while offering lots of hope and empowerment for young readers. These are the best kinds of window and mirror books. For readers who have never dealt with poverty, The Benefits of Being an Octopus and Everlasting Nora will help them develop compassion and understanding. And those who have lived in poverty will feel seen and validated. Both books have terrific first chapters that introduce readers to these two strong, memorable main characters—Zoey and Nora. And an interesting parallel is that both first chapters reveal the characters’ relationships to school. Let’s take a closer look at how both books touch on the characters’ experiences with something very relatable: their education. I’m not a kid who does homework. And I definitely don’t do big projects, which usually require glitter and markers and poster board and all sorts of things. None of which I have. Plus, last year in sixth grade, when I actually turned in a poster project, Kaylee Vine announced to the whole class, “Everyone! Alert the authorities! Zoey Albro turned in a project. The world must be ending.” Then she made that ahgn ahgn ahgn sound like a fire drill, and did it every time she passed me in the hall for the whole next week. But this project doesn’t need any glitter. And everyone else won’t have fancy poster boards with foam letters that make my flimsy piece of newsprint that the teacher gave me look like gray toilet paper. All I need is to know something—and I do. And maybe, just maybe, if I do this—and if I can rock it—all the other kids will have their minds blown, and it’ll be completely satisfying to watch. “Who would have guessed,” they’ll say, “that Zoey knew so much cool stuff? I had no idea! I thought I knew who she was, but clearly I didn’t at all.” Maybe Kaylee Vine would even stop holding her nose and switching seats on the bus to get away from me. This passage is powerful for a few reasons. First, it’s a bit surprising. From the first page, Zoey comes across as extremely smart, capable, and responsible. So that sentence, “I’m not a kid who does homework” will catch some readers off-guard. It might make readers pause and ask, “Wait a minute. Why not?” And then, immediately, Zoey’s narration reveals that there are often financial barriers to completing projects—barriers some kids will recognize and other kids (and adults) might have to stop to consider for the first time. The passage also establishes Zoey as a character we can’t help but root for. Zoey reveals some upsetting things—Kaylee Vine’s cruelty and the fact that other kids underestimate her—but she doesn’t pity herself. She has a fire inside her and remains determined and hopeful that she can make things better. That makes her very easy to love and cheer on. I missed going to a real school. I missed the smell of chalk. Most of all, I missed my best friend. If I saved enough money I could buy a couple of secondhand uniforms, some notebooks, and pencils. I would go back to school next year. I’d have to repeat sixth grade, but that was okay. For some readers, school might be something they take for granted or even dislike, but school is something Nora longs for. Readers who think of school as an obligation will be very moved by Nora’s desire to have the opportunity to go back. And we see here in this passage that, like Zoey, Nora is resilient and full of hope that she can make things better—traits that make her an endearing and admirable character. Perhaps it’s a coincidence that both books address the protagonists’ complicated relationships with education in the first chapter. But even if it is, we can learn a lot from the way Ann Braden and Marie Miranda Cruz do this. They both use something that almost all readers have experience with as a touchstone to reveal a lot about where their characters are coming from. This choice helps some readers quickly identify with Zoey and Nora, and it helps others to understand and feel compassion for them. What other parallels can you spot between these two books? We hope you’ll join us this month to read The Benefits of Being an Octopus and Everlasting Nora…or to read one of them, if you’ve already read the other. Our newsletter will go out on Monday, April 22nd, and our #mgbookclub Twitter chat will be at 8pm EST on Tuesday, April 30th. We hope you can discuss these books and their similarities and differences with us then! This month, we’re trying something brand-new at Middle Grade @ Heart: a double feature! We’ll be spotlighting BOTH Marie Miranda Cruz’s EVERLASTING NORA and Ann Braden’s THE BENEFITS OF BEING AN OCTOPUS. Each one focuses on different experiences of poverty—one in the United States, one in the Philippines—and we think they will make for an interesting comparison and contrast! We will have a variety of content about both books, and we hope that if you’ve already read one, this will give you a chance to track down the other and focus on that. After a family tragedy results in the loss of both father and home, 12-year-old Nora lives with her mother in Manila’s North Cemetery, which is the largest shantytown of its kind in the Philippines today. Our newsletter will go out on April 22nd, and our Twitter chat will be April 30th! Hello, Jo! Thank you so much for stopping by the MG Book Village to celebrate the release of Where the Heart Is and to chat about the book. You write both Middle Grade and Young Adult fiction. How early on in your process do you know which category a story idea will fit into? Do you think about it at all before or while writing? Thanks for having me! I do think about how old my character is when I first start writing, mainly because age is often how I introduce my characters. But… I admit that often after I’ve written several chapters I realize the voice sounds either too young or too old for the original age I thought they were. At that point, I need to decide which is stronger: the voice, or the need to have my character be a certain age to tell a particular story. But I don’t think in terms of, “My next book needs to be middle grade.” It’s the story idea that comes first. Then, I starting writing and let the story tell me what the book will be. Is there anything about the Middle Grade age range that you especially enjoy or appreciate? I love writing about 12-13 year olds because it’s fun to straddle childhood and adolescence. I realize I may be the only one who feels this way! But I think it’s such an emotional and exciting time of life to write about. Kids are on the cusp of gaining independence and developing their own identities, and I love going through that growing-up experience with them. It can be both hysterical and heartbreaking. Okay, let’s get to the new book. Can you tell us a little bit about Where the Heart Is? It’s about a girl named Rachel who just turned 13 and is looking forward to a fun summer with her best friend, Micah. But her parents are going through a financial crisis, and it’s causing lots of stress at home. In addition, she’s questioning her sexual identity and it’s causing a rift between her and Micah, who has had a crush on her since they were little. One thing I especially love and admire about your writing is your use of humor – in this latest book and your previous ones. You tackle some seriously heavy, tough topics, yet still manage to infuse humor into your stories. Does this come naturally? Is it something you are conscious about including? Thank you! I try really hard to keep my stories “real” in that they reflect every day stuff as well as the bigger, looming issues in their lives. I don’t think about it in the sense of, say, “OK, you just wrote a sad scene now you need to balance it with something funny.” I guess I think of it more in terms of a necessary part of character and world building. When I walk my characters through their worlds, there’s just naturally some funny stuff that plays out. And maybe as a writer, I need comic relief just as much as my readers. I know there are both large and small elements of Where the Heart Is that were inspired by your own life experiences. Did you set out to write about these? Can you talk about what it’s like to transform such “facts” into fiction? The book emerged from a writing prompt a friend of mine gave at a pop-up lecture. He said to think of an object that held a strong memory, and I thought of a sweater of my dad’s that I used to wear. As soon as I started writing, the memory of losing our home came to me very clearly and powerfully. I shared what I wrote with my friend, and he encouraged me to keep going. The problem was, I didn’t want to write a memoir. I decided to select some of the most important things that happened to me during that time, and try to weave them into a story that would work as a middle grade novel. Turning “facts” into fiction is a challenge for sure, because it’s hard to let go of what really happened. But once you do let go, you can see that by allowing yourself to create the emotion of what happened rather than the thing itself, you’re still essentially telling the same story, just in a way that’s hopefully more accessible to more people. Before they even pick up Where the Heart Is, readers will notice that the word home has been “taken away” from the title. I’d love to hear your thoughts on that word. Home. What does it mean to you? How do you define it? Has your understanding of it changed over time? I’m glad you noticed! The process of writing this story, and further back, losing my own home, led me to rethink about how I define home. So often when we meet people they ask, “Where do you call home?” What if we changed it to “Who do you call home?” The lesson for me, in all of this, is that it’s the people in your life that give you a sense of belonging. Home is something deep inside us. It’s more than walls, it’s the invisible structure of love we create through the people we care about, and who care about us. Many of our site’s readers are teachers and librarians of Middle Grade-aged kids. Is there anything you’d like to say to them – in particular those planning to add Where the Heart Is to their classrooms and libraries? http://www.joknowles.com lists all of my books and information about school and library visits. Thank you! Jo Knowles is the author of several young adult and middle grade books including See You At Harry’s, Still a Work In Progress, and Read Between The Lines. Her newest book, Where The Heart Is, has been called “an immensely appealing, hard-to-put-down story about friendship and love, heartache and bravery” by Newbery Award-winner, Rebecca Stead. Jo’s awards include a New York Times Editor’s Choice and Notable, the PEN New England Children’s Book Discovery Award, an ALA Notable, Bank Street College’s Best Books for Children, YALSA’s Best Fiction for Young Adults, and two SCBWI Crystal Kites. Jo’s books have also appeared on numerous state award lists. She teaches writing at the Mountainview MFA program through Southern New Hampshire University. Tomorrow, April 2nd, is also the publication day of the paperback edition of Jo’s Still A Work In Progress, the cover of which is above! Hi everyone and welcome to Books Between – a podcast for teachers, parents, librarians, and anyone who wants to connect kids between 8-12 to books they’ll love. I’m your host, Corrina Allen – an elementary school teacher in Central New York and mom of two daughters – a 9 year old and a just turned 12 year old. Yesteday we celebrated her birthday with the most amazing cake – white with whipped cream frosting and layers of cannoli filling and raspberry filling inside. And just in case you are wondering – no, I did not make it. But if you live near a Wegmans, you can order one! This is episode #71 and today and I’m sharing with you a conversation with Alyson Gerber – author of Braced and the recently released Focused. Her latest novel is about a gutsy, chess-loving, 7th grader named Clea who is learning to cope with her ADHD. So….do you know that slightly disorienting feeling you have when you are looking out a window & suddenly the lights shifts, your perspective shifts, and you realize you are seeing your OWN reflection? That is the experience I had when reading Focused. Like so many other people, Dr. Rudine Bishop’s analogy of books as mirrors, windows, and sliding glass doors has always resonated with me. And I picked up Focused anticipating that I would get a window into the experiences of a young girl with ADHD – that it would help me become a better, more empathetic teacher. And while Focused absolutely did that – it also helped dispel a lot of the misconceptions I had about ADHD, particularly how it tends to manifest in girls and women. And launched me on a path to discovering that I have ADHD. I opened Focused thinking I was reading a window book – and it turned into a mirror book for me. I know that books can change minds and can change lives. But rarely has a novel changed my life for the better so completely and so soon. And by extension – the lives of my family and students. And when that happens – you just have to let the author know! And so, I emailed Alyson and thanked her and asked her to come on the show to talk about Focused, chess, her experiences with ADHD, her writing process, and so so much more. For our listeners who have not yet read the Focused, can you tell us a bit about it? In what ways is Clea’s situation and experiences similar to your own and in what ways did you angle her story so that it was different from your own? Is the testing you describe Clea doing things you’ve experienced or did you do some research to get those aspects of the story right? One of the things that made me fall so hard for this book was the CHESS! My husband and daughters are all big chess players though not competitively. Do you play? So…. there is some romance in this story!! My students and kids are always eager to hear writing advice from authors. What’s a tip or trick that you’ve picked along the way that has helped your writing? Is there a piece of feedback that you got that changed Focused? One of the goals of this podcast is to help educators and parents inspire kids to read more and connect them with amazing books. Did you have a special person who helped launch your reading life as a child? And if so, what did they do that made such a difference? What have you been reading lately that you’ve liked? What do you hope that readers take away from reading Focused? Here is a truth: I love doomsday stories. I’ve always wanted to write one. Think a teenage version of The Road, maybe with zombies. Definitely motorcycles. A couple years ago I stumbled upon Charlie Higson’s The Enemy series and sobbed for days that he beat me to it. Then I binged a season of The Walking Dead and felt better. I needed to forge my own direction—end the world my way. For a while, I wasn’t entirely sure what that was. I kept reading scary doomsday books (if you want to live in eternal dread, read One Second After by William Forstchen). And then this really interesting question floated up from the Ether: What if the apocalypse didn’t happen? What an epic letdown that would be, right? This seemed funny—a reverse engineering of the whole thing. I was hooked. My brain went into overdrive with possibilities. I envisioned a kid convinced the world was ending only to find out (awkwardly) that the doomsday predictions he believed so completely turned out to be bogus. It felt ironic and weird and yet also sort of deep, the type of story that could explore some other stuff that was on my heart. It felt like me. And so began the origin of my third novel, It’s the End of the World as I Know it. Like it’s predecessor, The Not-So-Boring Letters of Private Nobody, the story is set at the fictional Kennesaw Middle School—a virtual copy of the school I teach at in the Philly suburbs. Yet unlike that book, it has zero to do with social studies. Nor are there zombies or motorcycles or long, dangerous roads to the sea. Just an 8th grade kid, Derrick, who’s been turning his backyard shed into a doomsday shelter for the better part of a year. Convinced the Yellowstone super volcano is set to blow on September 21st (nineteen days from the book’s opening), Derrick will not be caught off guard. He will survive The End, due in no small part to his not surviving the other apocalypse in his life: his veteran mom’s death in Iraq. In my twelve years of teaching middle school, I’ve had many kids with parental death. Too many. I don’t honestly know how they bear it—but they do, and it is quite something. I wanted to tell you about them, let you imagine the trauma of sudden and permanent loss they endure—“doomsday” if there ever was such a thing. I wanted to sketch the supporting players: the surviving parent and other sibling. The guidance counselor and therapist. The friend. I’ve also had a student, equally amazing, who endured a potentially fatal illness. What was that like, I wondered—to have survived this “end”? How does peeking behind the curtain change the way a kid lives? This inspired Derrick’s foil and friend in the novel, Misty, fresh off a kidney transplant that nearly took her off the map before the game really got going. I pictured her just getting started with life as Derrick was getting ready for The End—her trying to cram it all in while he was packing it in. The intersection of those paths became the arc of this book. There’s also some poop jokes, a python that gets loose, and Pop-Tarts. Lots of Pop-Tarts. I still love the gritty survival story set in a world-gone-to-hades (should you also, go read American War by Omar El Akkad, it’s fantastic). But that is not this book, because I’ve been learning that real life has plenty of actual apocalypses. It’s The End of the World As I Know It is about two kids surviving their own doomsdays and facing the changes it wrought in them. It is a story of friendship, grief, and the many ways the world can end—and begin again. Matthew Landis teaches 8th grade social studies outside Philadelphia, where he lives with his wife, two kids (soon to be four, pray for us), some chickens, and a boxer that acts like a forgotten eldest child. He is the author of the YA thriller LEAGUE OF AMERICAN TRAITORS (Sky Pony), and the MG contemporary school narrative THE NOT-SO-BORING LETTERS OF PRIVATE NOBODY (Dial/Penguin). He hopes to attain whatever level of literary fame allows a person to summer in Cape Town and go on endless safaris. This is his third novel.